what items can i bring to donate to a school near Negril, Jamaica? QUESTION: Hi there Wellesley. Hope all is well with you and your family. I am coming to visit in March and want to bring items to donate to a school near Negril. What do you recommend I bring for the children and where should I bring it??? Thanks for your question Kris, and thanks for kind gesture. I am assuming you are thinking a basic school right? Good, as I just love those little beauties. You did say a school near Negril right? Do you have any idea which school near Negril you are going to? If so, feel free to just show up, I'm sure they (both teacher and students) would be elated and make time for you. If you are don't have one, please take a look at these (below). These are basic schools near the Negril/Westmoreland area only- actually an image so bear with me on the quality. I have the name of the school, the location, contact person and a telephone number, in most cases a cell; just add 1-876- before the number. I got them from TripAdvisor so I can't guarantee the validity of the contact information but I assume that at least a few (numbers) are still functional. By the way, I added added a photo (above), that's a pic showing my baby, back then :-), singing a song at a ceremony at her basic school in June 2008, she's the one in the middle, the shortest one :-). Thanks again for the initiative Kris, please stop by after the visit and let us know how it went. Comments for what items can i bring to donate to a school near Negril, Jamaica? It is good to know that there are those out there who are willing to help our students grow academically. Anything that has to do with books, flashcards, anything to enhance the learning of Maths, any teaching aid, will do fine. Please bring something for them. If you don’t have big items, you may buy or ask others to donate some sweets, nuts or anything like that. Bring a gift no matter how small. It will make a major difference. You will need to bring some things like, crayons or anything for art & craft you can find. Why? Many of these schools are very poor so although they should provide tools, you might not have things to work with if you do not bring some. Do you have any new or used toys, gadgets like iPod, cameras or anything from the 'first world' that you can bring to show kids to use? They will be fascinated by these and you can use them to break the ice and win confidence. Small sports equipment- do you have any balls or any equipment to use with the sport of your choice?. In Jamaica, children love to do sports . We are big on track & field; cricket, football, basketball, netball. There are many others, but these are most popular. Clothes: If you are interested in bringing a piece of luggage with some personal items of clothing, then this would be welcomed. Many of the children both girls and boys ages 6- 14 need simple things like socks, underwear, sneakers, etc. They can be new and used. You can travel lighter and use some space to bring gifts or school supplies. These are all suggestions and optional. The important thing to do is to bring something to make your experience better. I want to bring items for school children as well!@. I was so excited to see this in your newsletter Wessley! When I came to Montego Bay last year a friend of mine; whom I had met on a previous trip to Jamaica(Neshane) asked me to bring her books because her son was having trouble reading. I brought her a book entitled: How To Teach Your Child To Read. She was very appreciative. 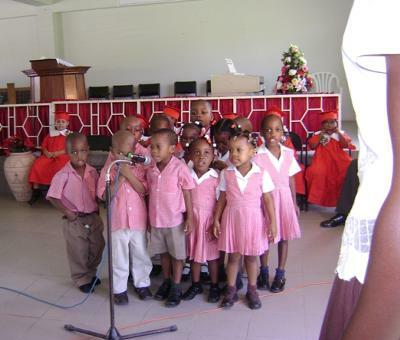 One of my goals is to help the children in some way when I visit the beautiful island of Jamaica. I value education deeply and would be so happy to make a contribution! My name is Danielle Campbell, a grade four student who attends the Unity Primary School in Westmoreland. I like to read and previously started Danielle’s Reading Corner just over a year ago for children in my community between the ages of 5-12 that are unable to read fluently. We meet every Saturday between the hours of 8am-12noon, initially with 10 children and now we have grown to 15 individuals. Danielle’s Reading Corner not only is a reading program but also help the children with other subject areas. Currently there are 2 high school students and a 19 year old young man who before started with the program was unable to read fluently and currently he can read much better and now widening his potential into doing mathematics in the program. The program in its year of year of succession would like to purchase a computer system to aid in doing researches and help our current children who will be sitting the upcoming GSAT examination. Any help that can be offered will be greatly appreciated. I can be contacted on the following numbers 876-320-9658. I have done this in the past we went on holiday for three month what I did was I took a barrel over things like Reading books books to write in pens,pencils toilet paper ect my daughter went to school for the three months while we were there and the school had not been open long they were so happy for the gifts that we had given them and my daughter had the experience of schooling in Jamaica which she really enjoyed each time we come to Jamaica she pop in to see them . Judith Smith -- Composition books, notebooks, pens(assorted colors) PENCILS (tons of those), erasers, sharpners, Glue, scissors. Txt books, writing paper, coloring books, crayons, kleenex, hand sanitizer, CANDY!!! (Lots), dry erase and permanent markers, rulers.... Same things the kids use up here!!! Just a suggestion!! Julaine Schexnayder -- I have done that in the past. On my most recent trip I brought CD's for kindergarten age children of music. Light and easy to transport. On other trips I brought pens and pencils, maps, etc. Calculators that are inexpensive are useful for older kids. In Mexico I brought toothbrushes from my dentist who had plenty to give away. Matt Steinbruck -- Kites for fun! Dominica Pradere -- Do not bring candy, dental work is not cheap and our children consume too much sugar anyway. Text books may not be relevant, especially if you are coming from the United States. But do bring good quality pencils, stickers for the teachers to use, construction paper, crayons, paints and brushes, markers. Story books and easy readers are usually appreciated.